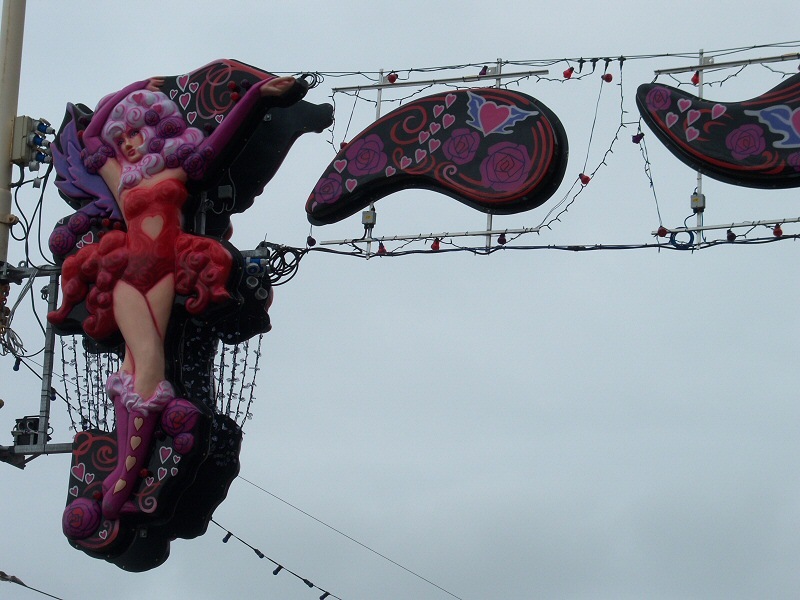 Once a feature is complete it can take its place within the six miles of Illuminations on Blackpool Promenade. 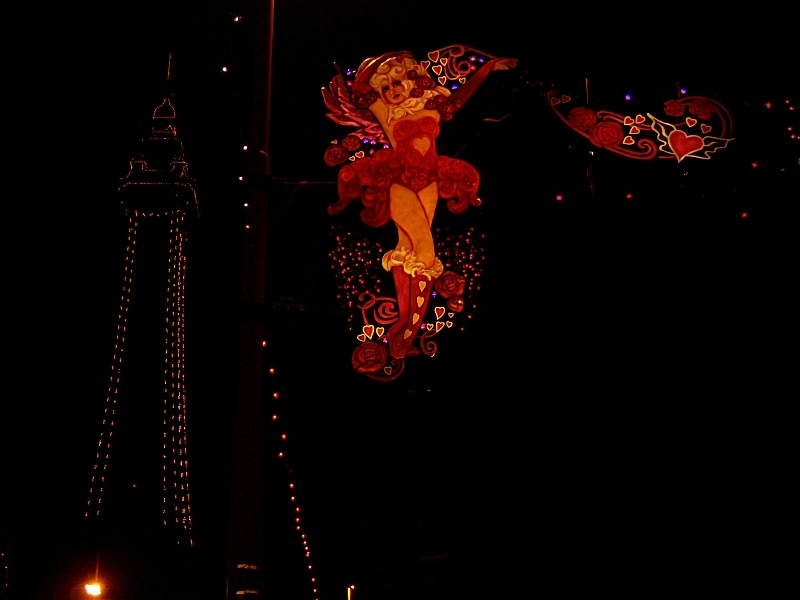 Erecting the Illuminations takes approximately 22 weeks - with a strict deadline of being ready for the big switch-on! 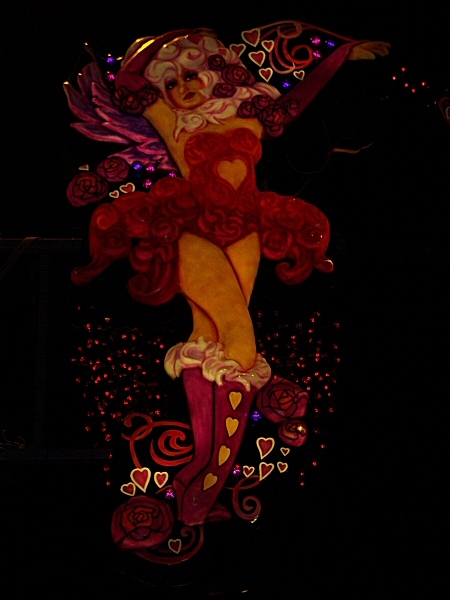 In 2007, Cupide along with the rest of the Decodance road features, took pride of place outside Blackpool Tower. 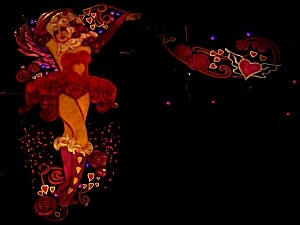 Every year a ceremony is held to celebrate the start of the Illuminations and a famous person or celebrity is invited to switch them on, usually accompanied by live music and radio. There is also a private VIP party for visiting celebrities, local dignitaries and a few lucky individuals, including the Illuminations staff who take turns in attending. In 2007 it was Dr Who star, David Tennant who had the honour of switching the lights on. 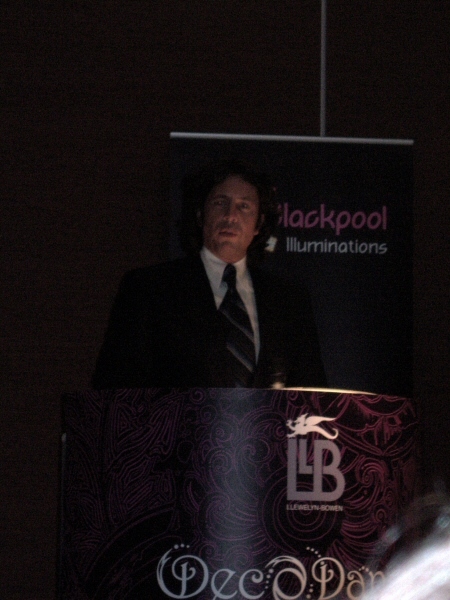 2007 was unusual though as there was also a mini switch-on and press launch where Laurence Llewelyn-Bowen switched on just his Decodance section. As one of the artists responsible for Decodance I was fortunate to be invited to a separate VIP party at the De Vere Hotel. Sadly, I don't have any photographs of Cupide being erected onto a lamp-post or the switch-on, but I'll endeavour to find some at a later date.